The comprehensive range of Modulating Dual Fuel Burners GI-EMME Series (Light Oil/Natural Gas) offered by us is procured from trusted and reliable vendors. These are designed for normal or pressurized combustion chamber, which is also suitable for applications like steam boiler, thermic fluid heater, child chillers and hot air generator. 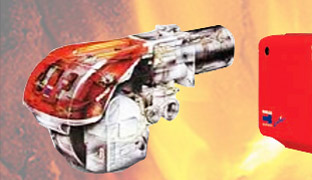 With the assistance of our dexterous team of professionals, we are involved in offering a wide range of Two Stage Dual Fuel Burners / RLS Series (Light Oil/Natural Gas). 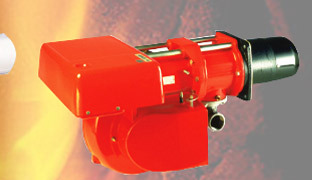 The exclusive design of these Burners helps to reduce the dimensions, simple use and maintenance. 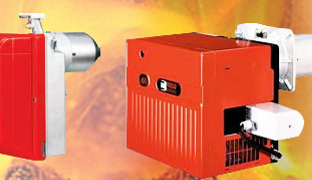 We are one of the prominent dealers and suppliers of an extensive range of Modulating Dual Fuel Burners / ENNE/EMME Series (Heavy oil/Natural Gas). These are available in various models, which are suitable for every sort of equipment, with normal or pressurized combustion chamber.